First, they are drawn to the lifestyle of Christians. Second, they are experiencing the power of God in answered prayers and healing. Third, they are dissatisfied with their experience with Islam. 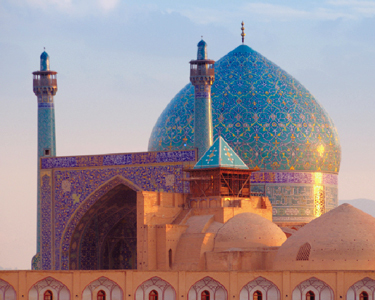 The fourth reason Muslims are converting to faith in Jesus is because of dreams and visions. Just last Tuesday I asked a missionary if he knew of experiences of signs and wonders. He spoke of a team of three missionaries, colleagues of his, who were paddling up a river on a boat, in a place where they had not been before. A woman called out to them from the shore, "Are you bringing the word of God?" They landed there and she told them she was the local religious leader. She had had a dream the night before that three men would come in a boat, bringing the word of God. This was not a Muslim community, but illustrates the same point: God is working through dreams and visions. Note that this cannot be ascribed to mere psychology; the information was too specific. The same is true of stories Moreland tells, for example of a Muslim man who walked up to a Christian missionary in a marketplace and said, "I had a dream last night that if I came to this marketplace at this time today, I would see a man wearing a blue jacket just like yours and he would tell me about God." Christine Darg, a dreamer in the tradition of biblical Daniel and Peter, heard the voice of God tell her in a dream to go to to an Arabian city where the Holy Spirit was moving in Revival. What could she do but head there? Miracles Among Muslims chronicles her amazing encounters with dreams and visions in this current move of God, and also some of the startling visions she herself has experienced in the Middle East and throughout the world. In remarkable ways, and on a seemingly unprecedented scale in fulfillment of Bible prophecy, the Lord is showing Himself alive (Acts 1:3). 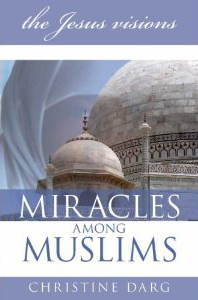 Miracles Among Muslims is an extraordinary account of signs and wonders in the Muslim world. 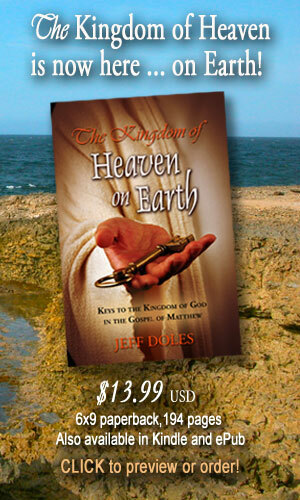 For many centuries of desert like dryness in the Middle East, the word of the LORD was precious. There was no open vision. But suddenly, in the fullness of time, the spiritual scenario in the Middle East has changed. He is also fulfilling His promise to Abraham that Ishmael might live! Dreams and visions are some of the primary ways the Lord is communicating His gospel to the children of Abraham: "And afterward, I will pour out My Spirit on all people. Your sons and daughters will prophesy, your old men will dream dreams, your young men will see visions" (Joel 2:28 NIV). 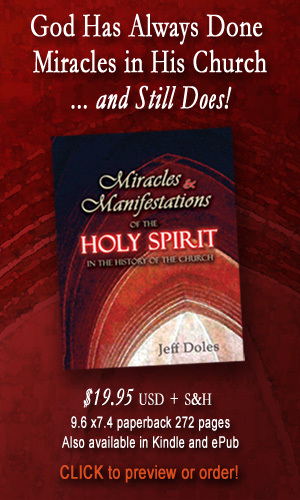 "Not by Might, nor by Power, but by My Spirit!"